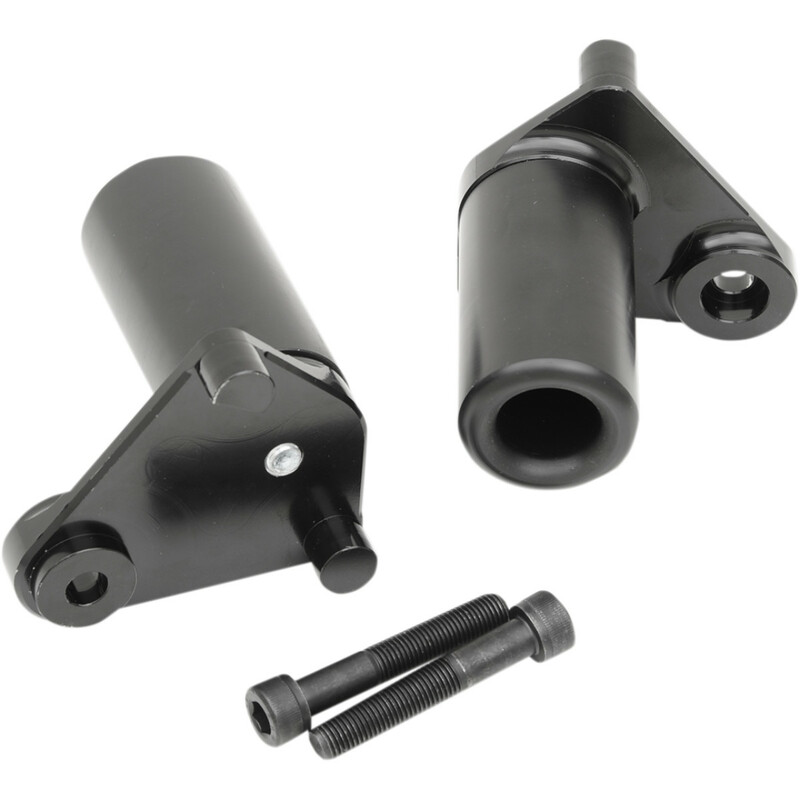 The frame sliders are to be mounted to your upper engine mounts. Refer to your service manual before performing this installation. Before beginning, make sure pinch bolts are tight to prevent any engine movement. Remove the rearmost engine mount bolt from the right side. Replace with the longer bolt supplied with short slider. Repeat this on the left side with the short bolt and long slider supplied and torque to factory specifications.